What do monsters like to do most of all? - To scare children! And also they like cookies! Small, big some with powder, some without it, some slightly burnt and some not. But the monsters really do not like to be involved with baking! All this preparation and cutting is not for them. 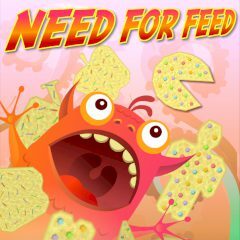 If you do not want the monsters to disturb your sleep, feed them!